Here are a few Project Management Interview Questions for you! 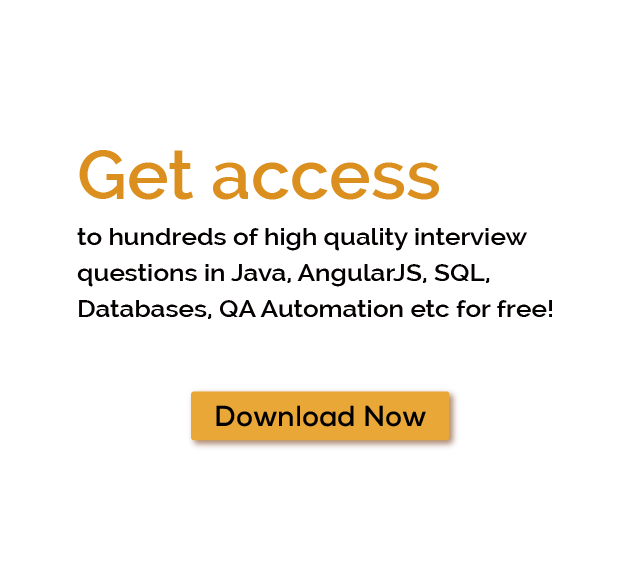 Download more High Quality Project Management Interview Questions! Product life cycle is a very popular and widely used term, especially in marketing and business strategy.Product lifecycle management tries to predict and describe the stages of sales growth that a product will go through from the moment it is developed to its launch in the market, all the way through the end of its life. The critical point to remember is this is not just about the individual product. Product lifecycle could also be applied to the broad category of products, or it can be applied to a brand or a theoretical model. Five stages identify most descriptions of the project lifestyle. Theproduct development stage is the process of new product development. It depends on what product and what market the business is operating. For a company, it can be quite complex, and for others, it can be simple. Sometimes, it may take a long time, and sometimes it maybe possible for a product to get capture the market very quickly, it entirely depends on the nature of the product, need for research and development, and market research for the products. The future of a product entirely lies in the development stage. Once a product gets into introduction stage, this is where it is found out whether the market is accepting the concept of the project, or it is a failure. Introduction stage is a very crucial stage where success and failure of a product are decided. Key things to remember in the introduction stage are that not all the customers will be aware of the product; in fact, most of the customers will not be aware of the product at all. So, there should be a huge budget for the promotion of the product. It includes both online and offline promotions. It is necessary to make consumers aware of the product because they are the ones who will decide the future of the product. As consequences of that investment in marketing to make the introduction stage successful, a product usually fails to generate profit at the start. Once a product enters the growth stage, it starts to identify as a winner. Therefore, it is essential to maximize the strength of the growth phase and establish the product as a successful product in the market. Product Marketing of the product is focused on the Growth Stage. So, the growth stage is always characterized by much faster revenue growth, more consumers finding the products and a key responsibility of the market may be disappointing for a company because people start reaching out to your product once it turns out to be successful. So, new competitors’ products emerge in the growth stage to enjoy the success. Now in this stage, the product should be profitable and should give returns for the investment done in the introduction stage. Things get a little more difficult in the maturity stage, especially for the businesses whose products come later in the market. It is the time to hold the market and make the product grab the market with a proper product marketing strategy. The maturity stage is characterized by slowing sales growth. There are a few competitor products in the market, and all of them are established. For the biggest businesses and the best products, this should be an excellent time to earn a decent profit because there will not be weaker and small competitors and you will have a large market for your product. A maturity stage for a product is a very positive stage concerning cash flow. Companies try to maximize their returns as much as possible in this maturity stage. The last and final stage is the decline stage. In this stage the sales of the products are falling market is falling as well and there is significance detection in the profits and cash flow because usually, revenues are not sufficient to cover the cost. Now, what happens is if it is a decline phase of the market for the whole then compatriots start leaving the market, so it creates a battle to squeeze up the last remaining profits in the market before the market becomes unsustainable. Products come into the decline stage because of enhancement in technology, change in the taste of consumers, change in the behavior of the consumers and these days, to innovate and develop the products turns out to be the major reason behind the fall of the products. A product has a limited life, and almost all the manufacturers accept this fact. Product life cycle allows a product to make sure that a product remains successful in its life cycle. Once a product gets out of the market, it can't make it is a comeback without any technological enhancement. Some of the many Project Management Interview Questions listed below will help you get an idea about what questions gets asked in such jobs related to Software Engineering & Tech. Get through the Project Management Interview bar with our selected Project Management Interview Questions for all Project Management enthusiasts! For thousands of similar Project Management Interview Questions login to our Website or download EduThrill. Experience the thrill of challenging people around the world on Project Management Interview Questions!